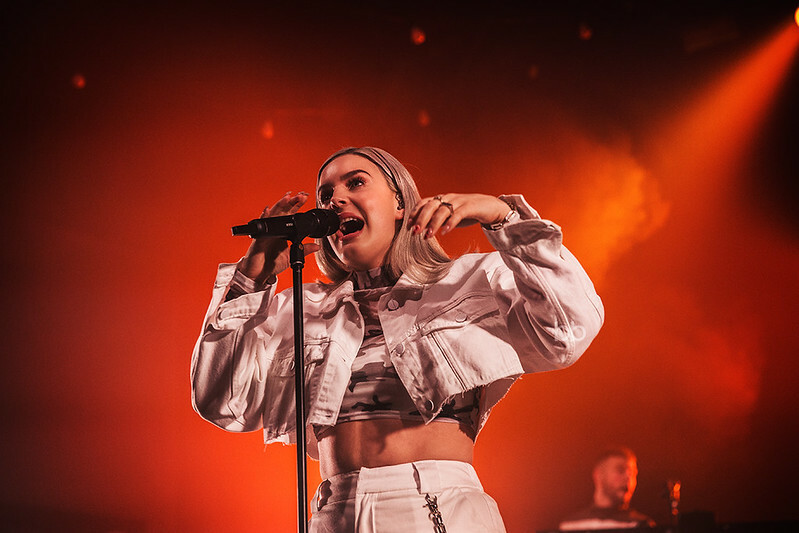 An architecture of attitude, ambience and energy, pop diva Anne-Marie welcomed a congested crowd to the first night of her tour at Birmingham’s O2 Institute. Carving out a gap just big enough for our own bodies amongst the teen to twenty something audience, we stood tippy-toed trying to get a glimpse of the gorgeous songstress in the hue of orange that opened her set with track Cry. 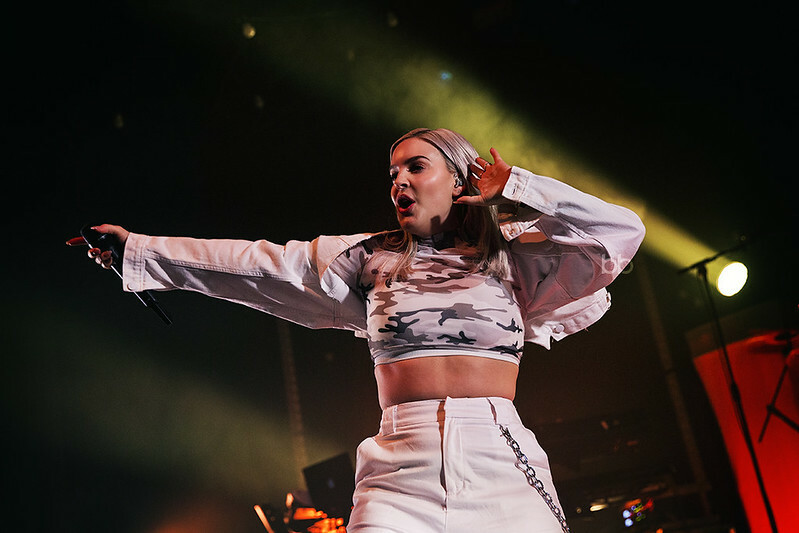 Ahead of her debut album Speak Your Mind Anne-Marie exuded confidence swaggering the stage in a staple baggy, shoulder-baring jacket and white combat trousers, her style was self-assured as she owned the stage like that of the electrifying Dua Lipa and the endearing humour of Adele. 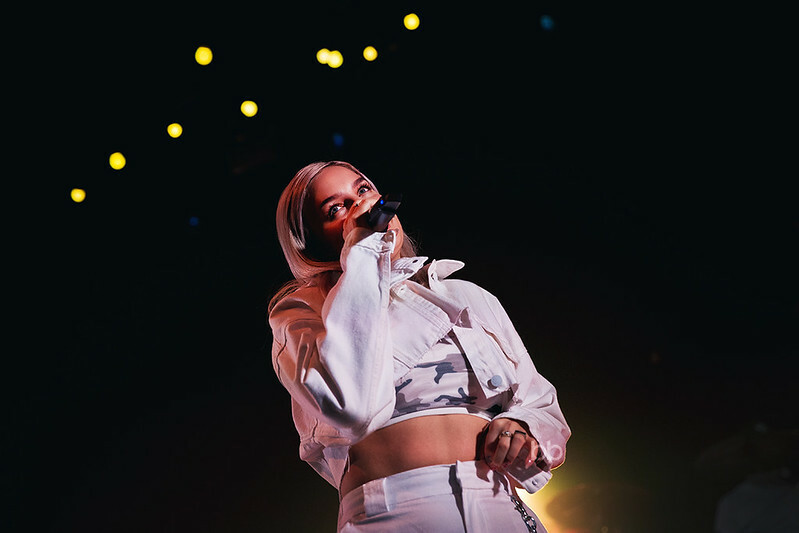 Having collaborated on instrumentally led electro-pop tracks with the likes of Rudimental and Clean Bandit, Anne-Marie individualises herself from other females in her space producing defiant pop-grime vocals that make her stand out with songs like Do It Right at the forefront of this genre. 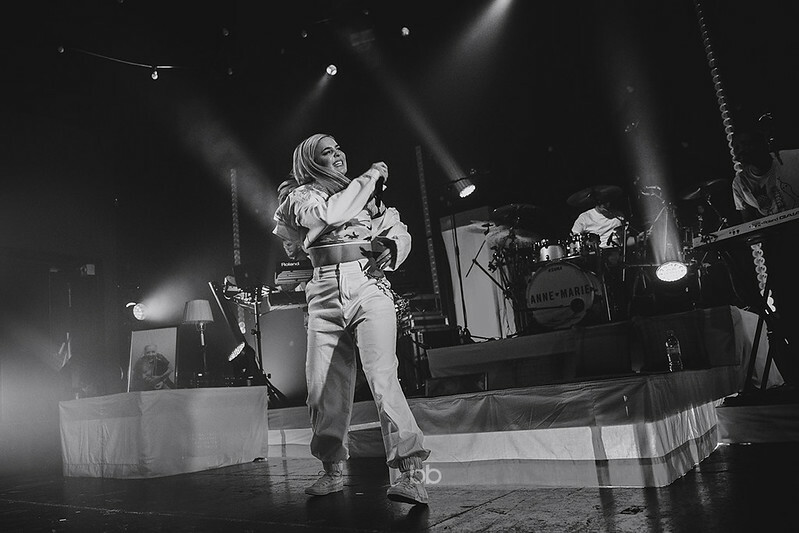 Taking inspiration from the Caribbean summer vibes of friends Rudimental, the singer hits up the tempo with a dance backed track, Heavy, that seemed to uncover steel pan type sounds and a rhythm that had the entire audience swaying in sync. 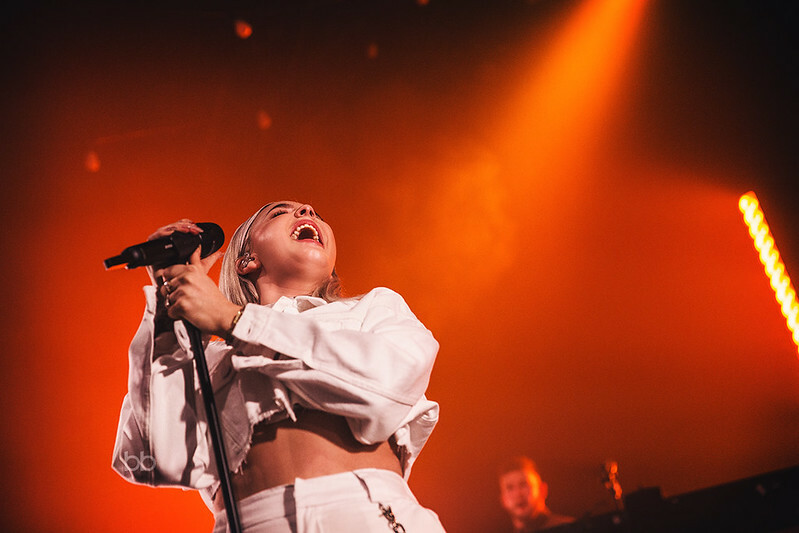 Letting out a laugh or two along the way, Anne-Marie seemed humbled at the turn-out of fans that have supported her journey to becoming one of today’s leading new talent as they cheered her every moment they found. 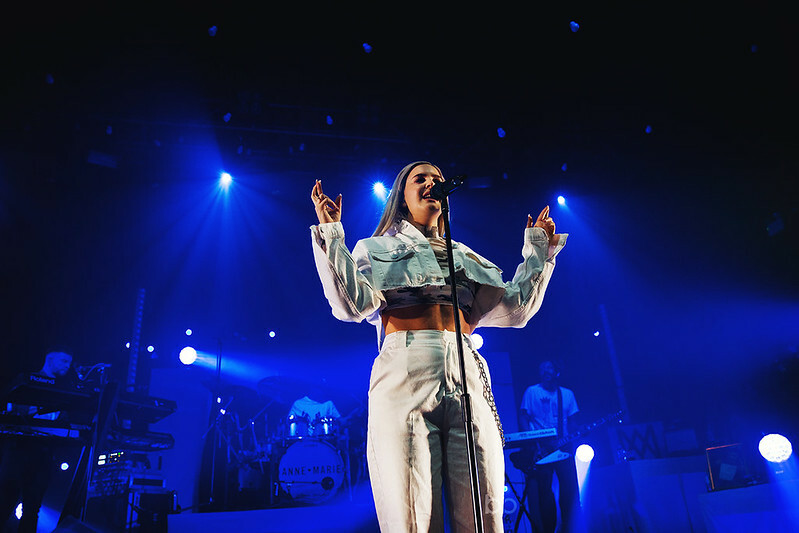 Helping us all to embrace our “weird” and remembering even celebrities have their insecurities, Anne-Marie treated us to track Perfect, a song that helps us all to see the positives in ourselves. 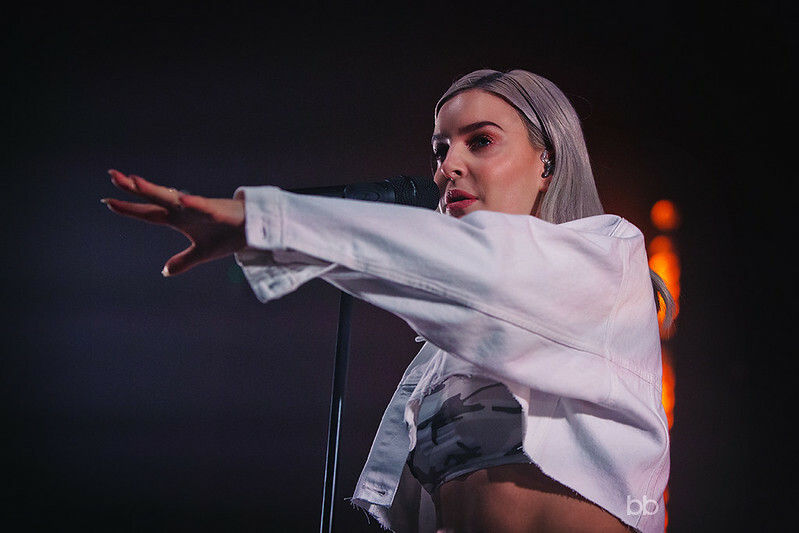 Performing yet to be released track Bad Girlfriend, a F*** you approach and drumstick in hand allowed the artist to smash into a dance-pop beat. Awakening the audience with Alarm, the hordes echoed the lyrics which we all seemed to have had an affinity with as if in a vengeance to all those dumb ex’s we’ve managed to escape. Not afraid to demonstrate that weirdness she spoke about earlier, the singer sniffed her armpit whilst explaining she was “drenched in sweat”. 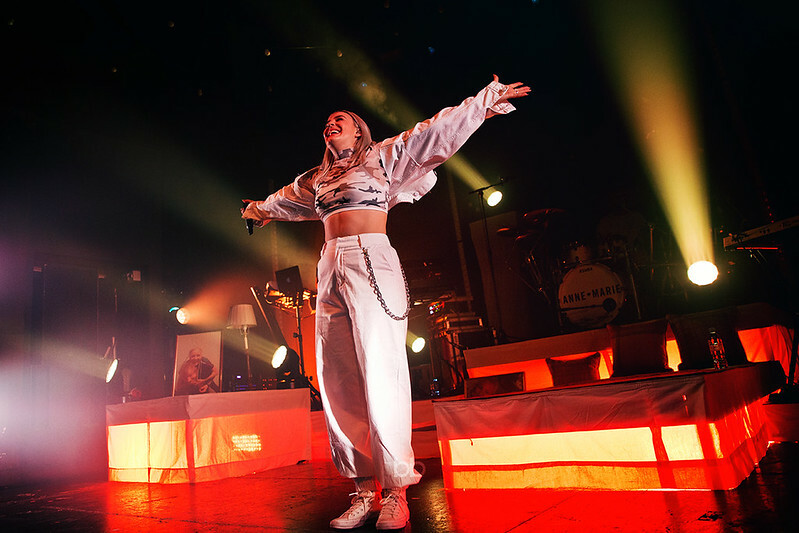 Merging into a dub-step dance theme for the latter half of the gig, Breathing Fire and Used To Love You begin to close the set as spotlights dance around the red hues that lit up the stage immersing us within a fiery hue that emanated her feisty nature. 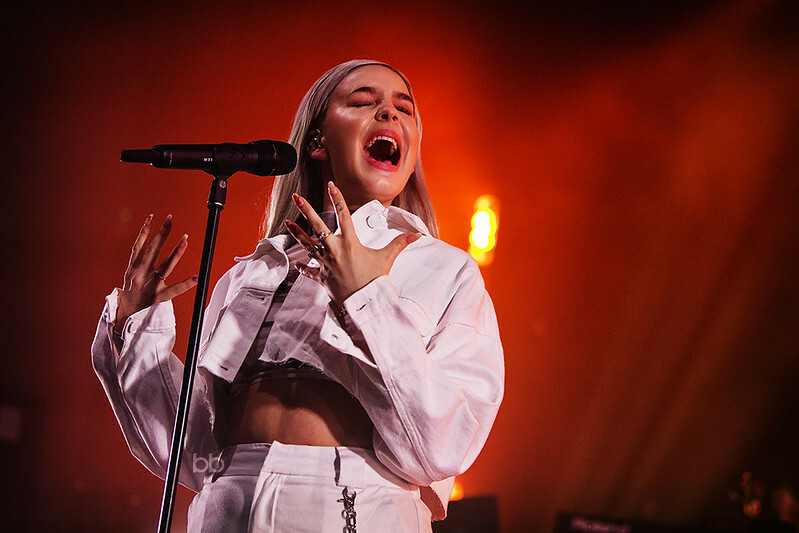 Hinting at the ever obvious encore, Anne-Marie tells us Trigger will be her last song then gives a firm wink… wink… in her cheeky way. 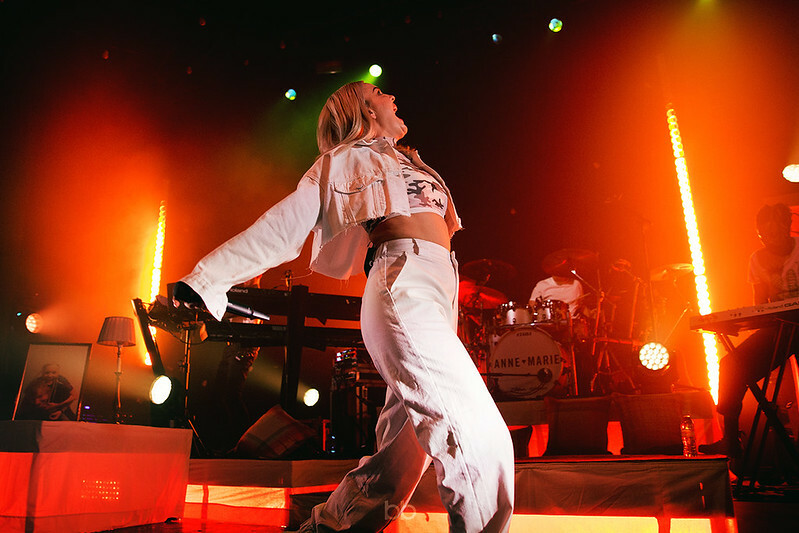 A stampede almost brought down the ceiling as she left the stage ready for her re-entrance and the centre crowd held high signs that said PROUD in big bold letters which Anne-Marie was overwhelmed by upon reading during Ciao Adios. Having had everyone repeat her hypnotising body movements we complete the sass Richter scale with final track FRIENDS and well and truly put those needy Neds in the friend zone! So if you are looking for a new feline to follow, get ready for this girl is going to bring it with her debut album out 27th April 2018.